Recently, India Post (DOP) got RBI nod to setup payment bank services in the country. Payments banks are institutions that will offer most of the banking services except loans and credit card products to retail customers. Customers can deposit money up to Rs 1 lakh in these banks, transfer money, make payments and buy financial products such as insurance and mutual funds. 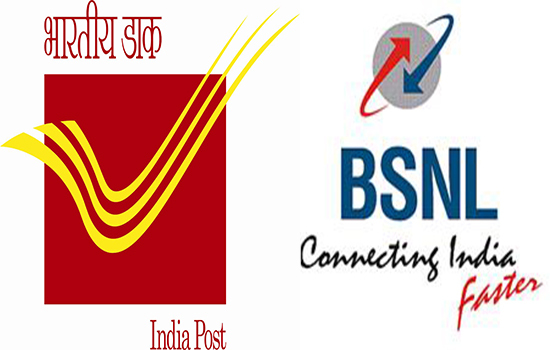 Now as per the latest information, India Post is in the advanced stages of discussions with state run telecom operator Bharat Sanchar Nigam Limited (BSNL) to sign an agreement to use its platform to roll out payment bank services across India. India Post may commercially launch the payment bank services by March 2016. BSNL is our preferred partner but we are also in talks with Bharti Airtel and Vodafone. We are in advance talks with BSNL. However, we are yet to work out on operational issues. India Post plans to start payment banking services in all its 1.55 lakh postal branches at least before the end of this financial year by March 2016. He said India Post will convert at least 25,000 of its branches to core banking services (CBS) by March next year. A top BSNL official also confirmed that they are in talks with India Post but are yet to work out the revenue sharing model. We are not investing anything in the payment bank services of India Post. There is no capex. They will benefit from the technology and expertise we have and that we would deliver - said the BSNL Official. Ramanujan, who has been given the task to formulate and lead the payment banking services for India Post, also said that though RBI has not given any formal deadline for seeking final approval for payment banking licence, they plan to submit a final report to RBI in next two months.